The Australian Bee Gees will be in Chandler on November 9, 2013. We are beyond excited. If you haven’t heard yet, prior to the show we are opening our doors early for a pre-show party. The pre-show will include delicious 70’s inspired drinks, a 70’s costume contest, and disco dancing with demonstrations by local dance studios. So gather your friends, dust off the go-go boots and get ready to boogie! It will be a night to remember. In preparation for The Australian Bee Gees show we also decided we needed to channel our inner John Travolta. Naturally we have all been tapping our toes to Stayin’ Alive and trying to find out leisure suits. So we came up with our first episode of “channeling” John Travolta – check it out below! 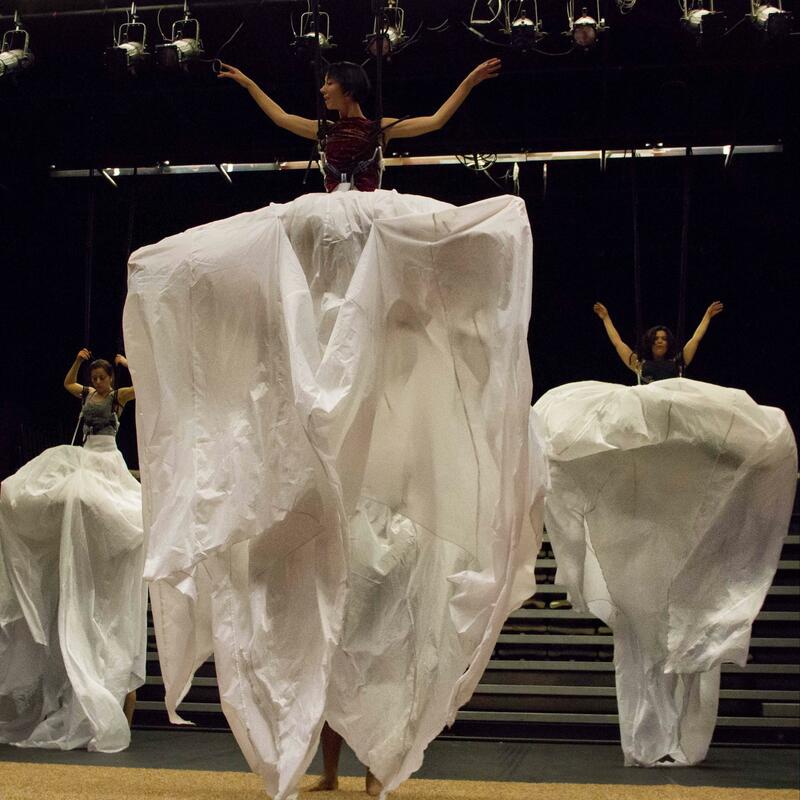 We had the lucky privilege to speak with Lisa Starry the Artistic Director for Scorpius Dance Theatre and creator of their upcoming show, Dreaming In Water. 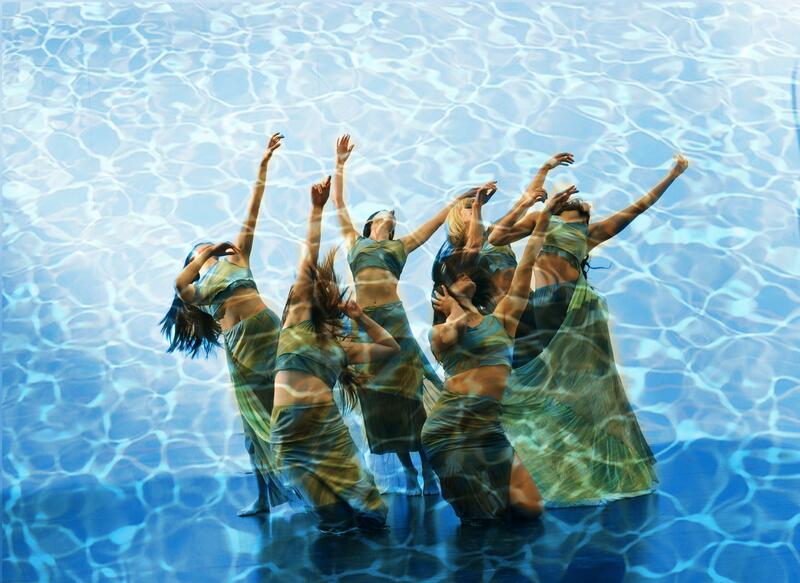 The performance showcases water in an all inclusive sensory experience. All we can say is forget everything you thought you knew about modern dance, this show takes everything to a new level of excitement. CHANDLER CENTER FOR THE ARTS (CCA): Where did the idea for Dreaming In Water come from? LISA STARRY: This is a remastered production of my first original water-themed production “Water Dreams.” 12 years ago I put on an outdoor water safety show to create awareness. However, the show was put on during the summer and it was just too hot to enjoy. This inspired me to take the show indoors, which lead to a more artistic message. Today’s show is centered around a little boy with a big imagination. He dreams of water and the creatures that exist within (such as fish and jellyfish). During the performance there will be short video clips featuring his underwater adventure. CCA: How many lights does it take to create the water effect on stage? STARRY: We will use all of the lights Chandler Center for the Arts uses, plus a dozen of our own intelligent lights. The intelligent lights create the illusion of water moving. We also use fabric to create the water effect. CCA: How long does it take for the dancer to be strapped into the aerial apparatus? STARRY: The Bungee apparatus we will use for the Jellyfish scene (featured in side photo) takes multiple bungee straps and double point harnesses. This requires a ladder to strap each dancer in. This also takes rope hooks to maneuver each dancer around the stage. It is time consuming. Immediately after the first act, the aerial crew goes to work. By the end of intermission the dancers are ready to perform. CCA: Do you have a favorite scene? STARRY: I am happy with everything. I am most excited about presenting the aerial pieces. I am also excited for the mini pool scene. There is some humor incorporated to make the piece more fun. We also have some athletic pieces. These are incredible scenes and are great to see. CCA: What form of dance can we expect to see? STARRY: There is some contemporary modern dance, which includes a lot of techniques and some ballet. There is also the athletic pieces. To finish off the performance there is some Broadway-ish dancing. We bring in a piece that features Singing in the Rain. CCA: Anything else a viewer might be interested in knowing? STARRY: A limited number of people have seen the underwater footage – this is the big secret of the show. The dancers haven’t even seen the footage. They actually won’t see the footage until we have our dress rehearsal at Chandler Center for the Arts. It is a beautiful water section. This is the public’s opportunity to taste in the magic of Dreaming In Water and all the hard work they have put forth. Dreaming in Water will premiere at Chandler Center for Arts this Saturday, April 13 at 8pm with new choreography by Lisa Starry, original underwater filming by Josh Kasselman, Music Composition by Kristopher Hill and Ryan Breen and lighting design by Mike Eddy. Get your tickets here!